Hailing from New Jersey now based in Boston, Jillian Hoenig aka Expletive debuted last year on Brooklyn's FIRM Tracks label. 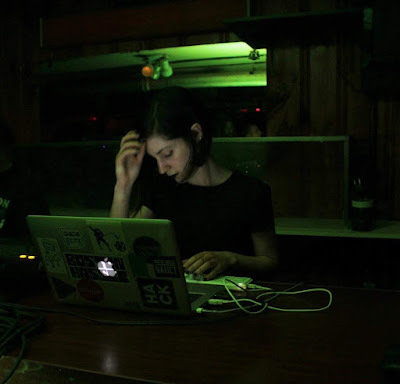 Originally a "bedroom musician", Jill has infiltrated the Boston scene with very fast, often melodic, chiptune inspired dance music performed live. Catch her latest release on Vanity Press (VPR07), where she focuses on the prettier, dreamier side of techno, exploring utopian and dystopian themes.